Some people suffering from MS are actually diagnosed in the primary progressive multiple sclerosis phase. This means that patients are actually experiencing symptoms which last for days or even months. In this phase of the disease, the most common symptoms include numbness, tingling, weakness, bladder difficulty, as well as visual symptoms and unsteadiness. Symptoms progress gradually, as the disease becomes worse. As the name of this phase indicates, this is a progressive condition, so symptoms only get worse over time. They will not commonly occur as sudden attacks. The way symptoms progress can vary from one case to another. The phases of progress when it comes to symptoms intensity can be followed by periods when they remain at staying level, with no visible changes. 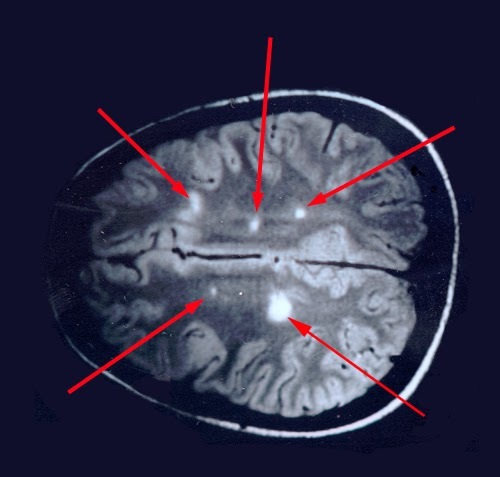 The diagnosis of primary progressive multiple sclerosis can be a very complicated procedure. Based on symptoms, doctors can recommend special diagnosis procedures. MRI imaging of the brain and spinal cord may indicate the development of MS. The exact cause of the MS cannot be determined by specialists. However, it is thought that MS is caused by the combination of many factors, including genetic ones. The disease is not contagious and it is not life-threatening. Statistics indicate that this phase of multiple sclerosis is most commonly diagnosed in people in the 40s or 50s. However, the disease can be diagnosed even earlier. Both men and women can suffer from this condition. There are various treatments that can be used by MS patients who are suffering from the primary progressive form of the disease. Patients are recommended to lead a healthy lifestyle, which can reduce the severity of the disturbing symptoms the disease causes. Exercise programs are highly recommended for these patients. About 10 to 15 percent of all MS patients are diagnosed with the primary progressive form. It tends to be diagnosed later in life, being more common in people over 40. Statistics show that the symptoms of primary progressive multiple sclerosis commonly occur between the age of 35 and 39. As there is no cause of MS, doctors cannot say how to prevent this condition. The only thing patients can do is to lead a healthy lifestyle, which will reduce the risk of developing many diseases.